UAE’s Al Dahra, the owner of Agricost and its concession of the Big Island of Braila – Europe’s largest consolidated farm -, plans to invest another USD 500 million in Romania in the next five years, in various sectors.The announcement coincides with the visit to Romania of the delegation made up of Al Dahra’s leadership team. Al Dahra acquired at the begining of August 57,ooo hectares farm Agricost controlled by entrepreneur Augustin Dulute, for around EUR 230 million. As far as agricultural investments are concerned, Al Dahra intends to purchase additional agricultural land in Romania and will invest in modernizing the existing portfolio of agricultural machinery and technologies. The goal is to achieve an annual production of one million metric tons of grain and compound feed by 2022. 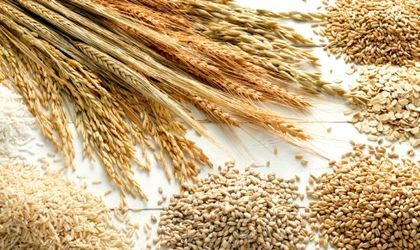 In parallel, a grain collection point will be developed with the capacity to manage two million metric tonnes cereals of different types, coming from both the Romanian farms operated by Al Dahra and those outside the company. The cereal center will facilitate the creation of strategic inventory, stock rotation and international market trading. In addition, in order to streamline the processing and distribution of the forage stock, five dehydration and granulation facilities will be implemented. In terms of investment in logistics and the supply chain, Al Dahra intends to acquire an operating point at Constanta port to facilitate grain exports and fertilizer imports. Moreover, it will be a specialized fertilizer company, responsible for the import of fertilizers in Romania and marketing on neighboring markets, with an estimated volume of 350,000 tons annually. In addition, Al Dahra will invest in the modernization of charging facilities in the port of Braila for increased cargo and vessel traffic. The company also plans to invest in the livestock sector by setting up farm farms with the capacity to house 150,000 heads of different species of animals. In addition, Al Dahra will make other investments aimed at creating an efficient network in the agricultural chain on the Romanian market, including factories and packing points as well as other value-added services, depending on the requirements of the business .